Alvvays' latest tour brings a stop in St. Louis for the first time. Alvvays is not a band to hide its influences. Its Tumblr page is full of photos and videos that help pinpoint its antecedents: R.E.M. circa “Radio Free Europe,” the Magnetic Fields’ Stephin Merritt, a Daniel Clowes comic comparing cartoonists to rock stars, and such ‘80s and ‘90s Scottish pop groups as Strawberry Switchblade, Teenage Fanclub and Shop Assistants. 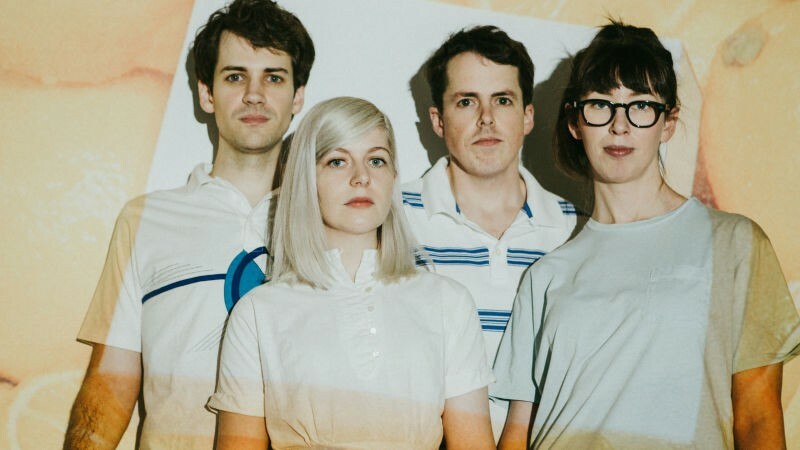 Asked to name their favorite albums, Alvvays’ members list a wide, mostly British range, from Cocteau Twins’ sublime Heaven or Las Vegas to the Soft Boys’ whimsical Underwater Moonlight. Clearly, the Toronto-based band remains a group of music fans at heart. However, that doesn’t mean its members are in thrall to their influences. In fact, they’re consciously aiming to transcend them. This is immediately apparent on the band's second album, Antisocialites, released in September. On Antisocialites, the influences peep through on occasion. There are lyrical nods to Jonathan Richman and musical nods to the Primitives and Talulah Gosh, but these are merely window dressings to a truly compelling set of songs. Rankin approaches her subjects from a slightly detached perspective. She’s usually singing in the second person to a specific “you,” but uses creative metaphors and details to sort through the wreckage, contrasting sweet imagery with ugly reality. Then there’s “Lollipop (Ode To Jim).” In a rush of words, the song starts with a chance encounter with Jesus & Mary Chain’s Jim Reid, and imagines a complicated relationship complete with public drug usage, broken furniture and drunk driving. “You’re a lollipop in the form of a lightning bolt/You’re a lollipop in my hair,” Rankin concludes. It’s all a long way from Cape Breton Island, Nova Scotia, where where Rankin and keyboardist Kerri Maclellan began writing and playing together as kids. Rankin comes from a musical family, and spent most of her early years steeped in Celtic music. However, the duo’s tastes were closer to Weezer and Alanis Morrissette, eventually progressing to lesser-known sounds. As a teen, Rankin discovered Teenage Fanclub, the Replacements and the Smiths at a local store. “That kind of flipped the switch for me,” she explains. She was also inspired by Halifax stalwarts Sloan, who were “sort of rock idols for all of us when we were little. We used to watch them on television,” she says. The members of Alvvays reserve a particular love for Dolly Mixture, a near-mythical English trio. Between 1980 and 1983, the trio released four singles on three different labels, mixing girl-group melody with post-punk minimalism. 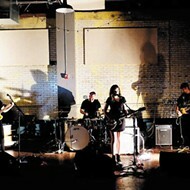 Upon the band's breakup, its members compiled the best of their unreleased demos onto a hand-signed and numbered double album, Demonstration Tapes. Now considered a cult classic, it’s impossible to find an original edition. Even CD reissues go for hefty sums. Alvvays has spent much of the last few years on tour, but this leg brings the group to St. Louis for the first time. 8 p.m. Friday, April 27. The Ready Room, 4195 Manchester Avenue. $15 to $18. 314-833-3929.